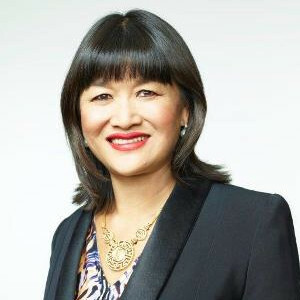 Mai Chen is the Managing Partner of Chen Palmer New Zealand Public and Employment law Specialists, Australasia’s first specialist public law firm which she co-founded in 1994. Mai is an Adjunct Professor at the University of Auckland School of Law; a Director on the Board of BNZ; Founder and Chair of New Zealand Asian Leaders; Founder and Chair of Superdiversity Centre for Law, Policy and Business; Founder and Chair of SUPERdiverse WOMEN; Inaugural Chair, NZ Global Women; and Co-founder, Cultural Bridge, a joint venture between Chen Palmer and NZME. Mai was a top 10 finalist for the 2014 and 2016 New Zealander of the Year Awards and May 2016 was acknowledged as one of the Top 50 diversity figures in public life as assessed by the Global Diversity Company, recognising the achievements of individuals who have used their position in public life to make an impact in diversity. SUPERdiverse WOMEN brings together a powerful network of superdiverse leaders and organisation, to broaden how diversity is viewed. It provides a forum where top superdiverse women leaders can meet those from different sectors for cross-pollinisation.